When time matters most, the hospital staff can triage and determine where to send that patient before the ambulance arrives. The result—the patient gets immediate care, improving patient outcomes and saving valuable time. 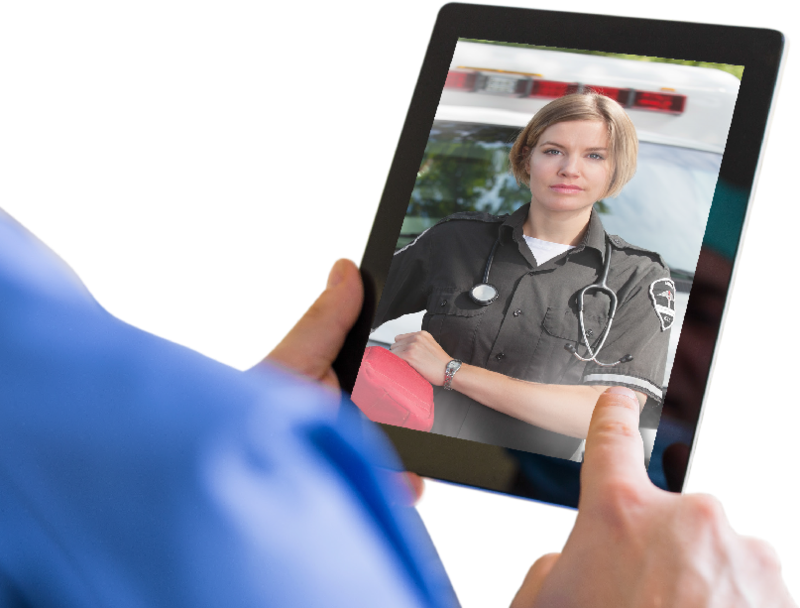 Auto-capture of vitals through device integration, along with a simple touchscreen interface, keeps first responders focused on the patient – instead of technology. Integrated wired & Bluetooth-enabled medical devices and sensors collect and transmit vital signs and other patient data in real-time. The software enables the rapid entry of info and transfers a record of the entire pre-hospital chain of events to clinicians in real-time at the Emergency Department and is easily uploaded into the EHR. Our First Responder Emergency Case features a touch screen – ideal for the fast-paced environment – and is EMS-specific, organized by areas of injury & patient’s symptoms. Integrated wired & Bluetooth-enabled medical devices and sensors collect and transmit vital signs and other data in real-time. 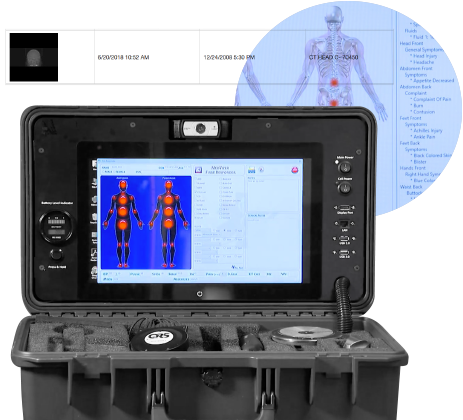 Our Trauma/Emergency solution facilitates continuous patient monitoring and management to lower-acuity hospitals, lacking trauma or emergency medicine clinicians. 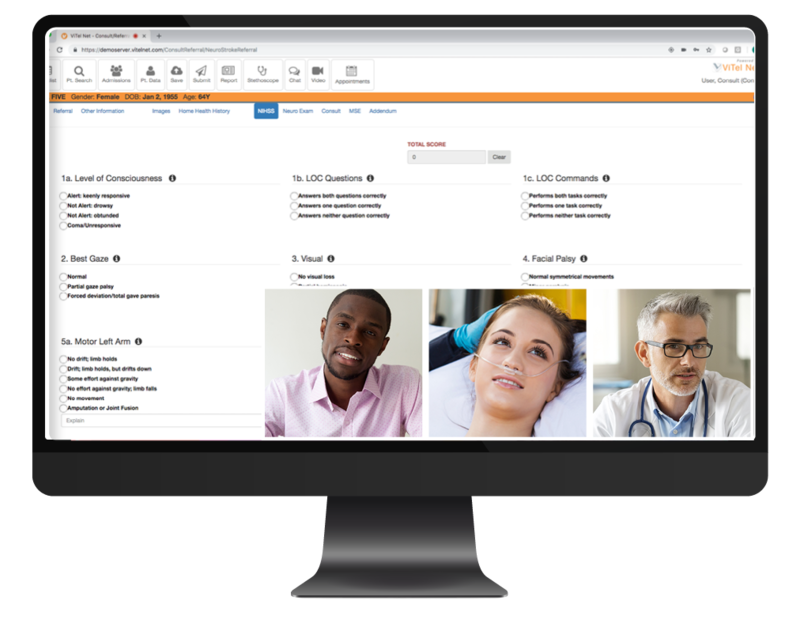 Real-time data and diagnostic images give consulting emergency medicine clinicians critical information to guide staff at a lower acuity hospital, allowing appropriate patient stabilization prior to transport to a fully staffed hospital ED. These consultations, facilitated by ViTel Net’s real-time audio and video technologies and supported by information documentation, can also help guide patient management and potentially avoid unnecessary transport. Vital signs are sent in real-time, along with a live video feed that can be switched between any attached medical devices. The streaming of live medical data, images, or video of procedures occurs as they are being performed. The camera can be controlled on either end, allowing clinicians to thoroughly examine the patient and provide consultation. Images are calibrated to give exact measurements, and areas of concern can be magnified for easier viewing.